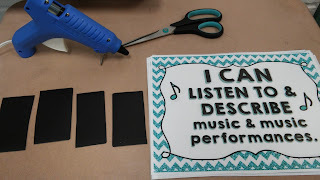 I've been working on bulletin boards and room decor this past week because my school started TODAY! 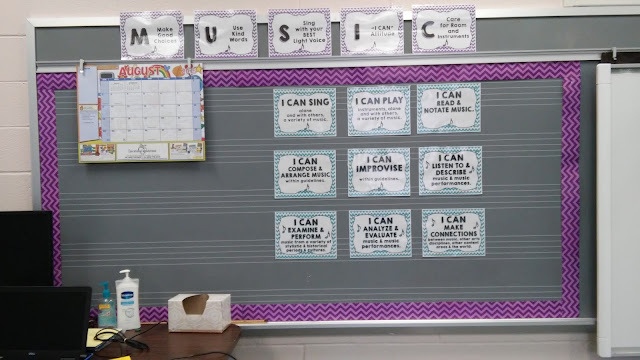 I was scrambling to get my "I Can" statements posted and figured out that they would fit nicely on a section of my magnetic "whiteboard" that I don't use often. 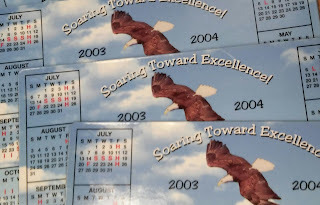 I was contemplating a trip to the teacher store to find some color coordinated magnets when I remembered that I had a stash of old school calendar magnets in the back of the closet. Many businesses are using magnets as promotional items to promote their business. Sometimes they have extras from a specific event or last year's calendar, and would be happy to donate. First I plugged in the hot glue gun. 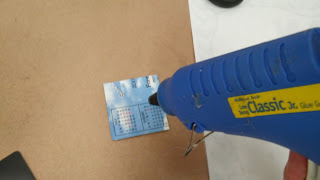 These old calendars happen to be about 3"x5", so I cut them into pieces with some sharp scissors. 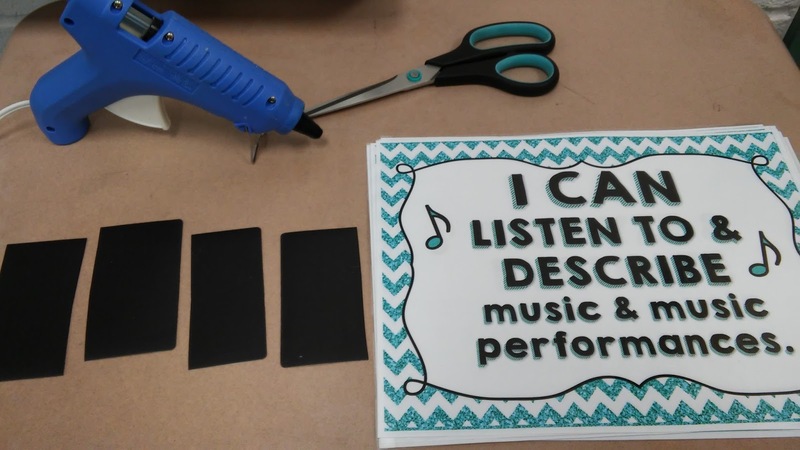 A little hot glue was all it took to recycle these calendar magnets and get my "I Can" statements posted.